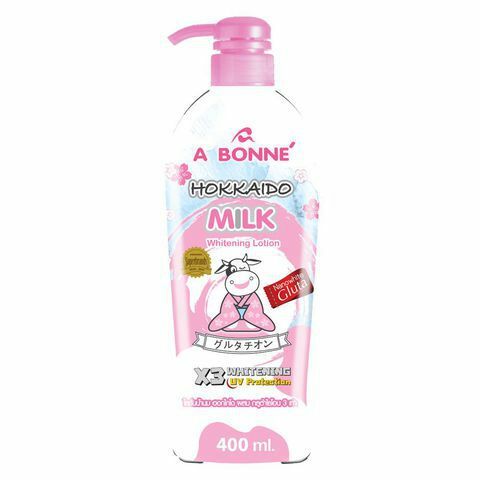 Hokkaido Milk Whitening Lotion is a rich and smooth lotion, formulated with Milk Extract from Hokkaido and Glutathione Nanowhite to soften and brighten your skin in 14 days. Glutathione Nanowhite including Glutathione, Natural Arbutin and Vitamin C is triple activities for skin brightening. 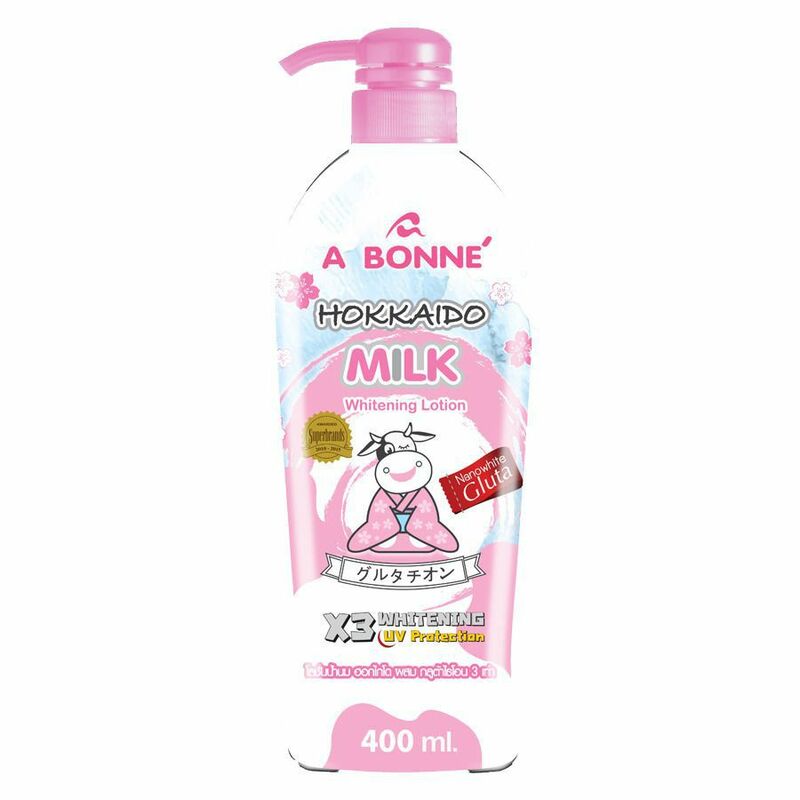 Hokkaido Milk enriched triple proteins, improves dry skin's condition. 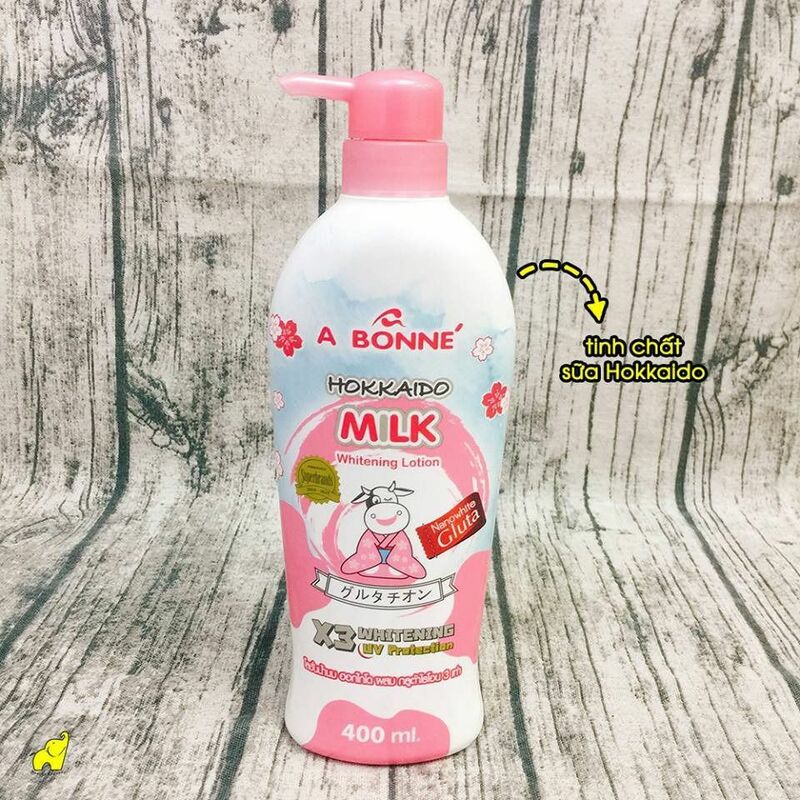 It provides intense moisture, boosts skin's hydration and gets beautifully radiant skin. Vitamin C & E are excellent antioxidants, which are adđe to renew and nourish your skin. 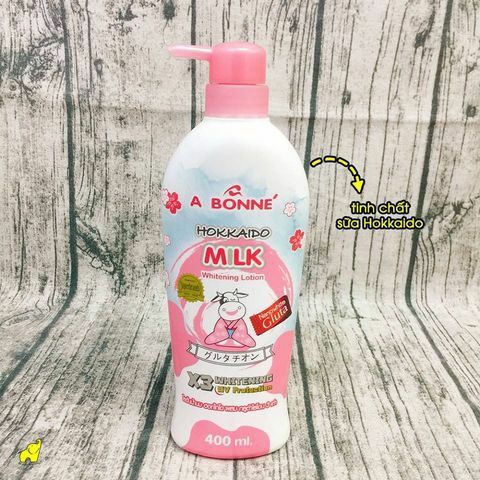 Direction: Apply A Bonne' Whitening lotion all over the body skin will become radiant and its tone will be naturally lightend after daily use.